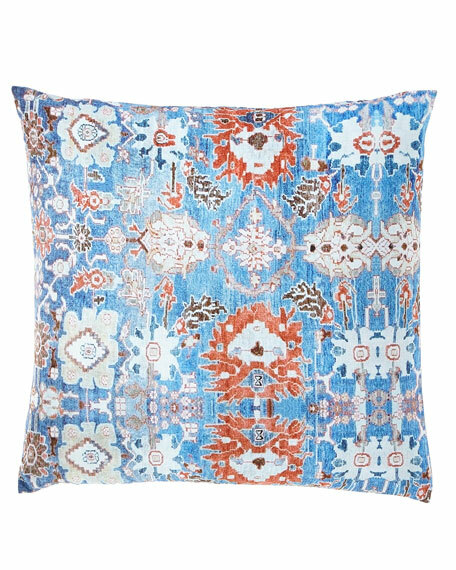 Our Blue Sutra pillow was inspired by the intricate patterns and motifs found within Oushak rugs from Turkey. When examined carefully, these beautiful patterns symbolized the local flora of the Anatolian region. Leveraging computer graphics, colours have been saturated and contrasts have been refined for a unique composition of pattern at play.